Having seen a few single-page year in review minisites the past few weeks, it’s clear that Skrollr has become the de facto standard to implement parallax scrolling effects into your websites. Skrollr will interpolate between the start and end value whilst you scroll. Note that the resulting effect is different from the previously mentioned Scroll Animations. Whereas Scroll Animations triggers an effect when an elements scroll into view (and it cannot be undone once it was started), Skrollr is tightly linked to the actual scroll position/offset: scrolling up will revert the animation. 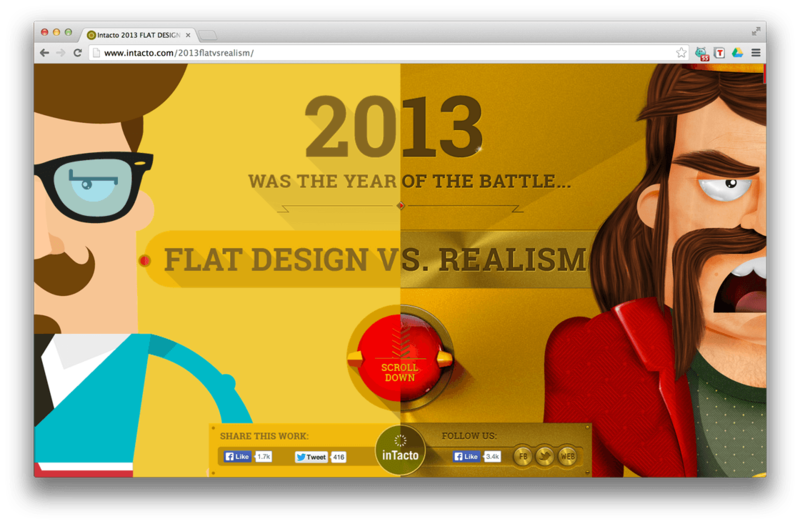 A really neat (and CPU intensive) example is Flat Design vs. Realism. 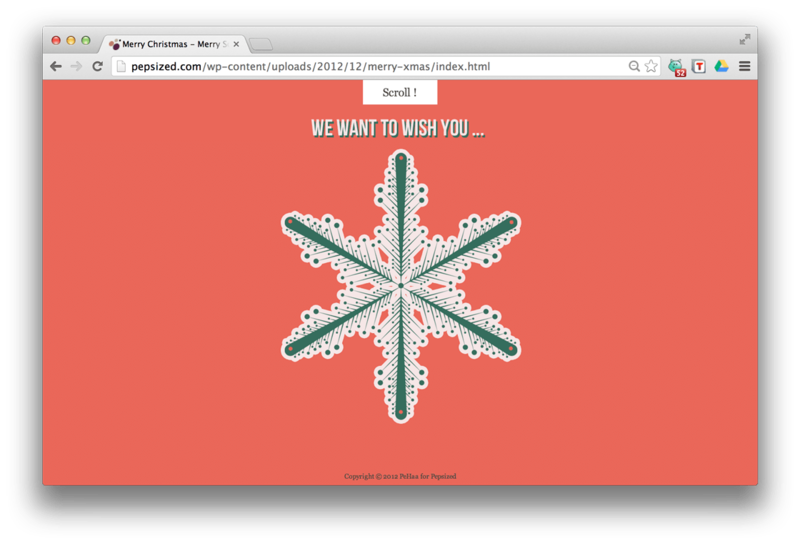 A nice and simple example to get some more inspiration from is this Christmas-themed page. Hi, I’m using this method, but the scripts added this line: , creating a space under the body of about 500px. When I remove the scripts, line and space disappear. I can not find how to solve it and do not know if you’ll have the answer. PS: sorry for my english (I write from Argentina). The 500px is Skrollr creating extra white space. You’ll want to set forceHeight to false when you initialize skrollr. Hey, you guys know of any resources talking about using click events on internal links while using skrollr. Like click on a DOM element and scroll to y position or #target? my heroe, i was looking for that trick all the evening, huge thanks!! the 750/1500 values in the js – I can set them to a px value but would it be possible to have them be “middle of page” and “end of page”, respectively? for blog pages, where the height of a page isn’t s fixed number? I cannot seem to get this to work. When I use numeric values it works, but when I replace these with ‘start’ or ‘end’ etc. it does not work. Do you have any idea what needs to change?